A Tokyo-based startup is offering a range of services to help people keep track of their belongings. Mamorio Inc. has created a small electronic tag that can be inserted in a wallet or attached to a keyring and other personal items, and used to track down the tag’s location. The 3.5 cm x 1.9 cm electronic tag connects to users’ smartphones via Bluetooth. The tag has a range of about 30 meters and the Mamorio app alerts users each time it loses connection and sends GPS information on the last-known location. If, for example, a user leaves a wallet with a device inserted at a restaurant, the app alerts the user once they have traveled 30 meters from the location and shows the address on a map. If an item tied to the device is taken by somebody to another location, the app can track the item via its extended network of users, which share data. The more people using the app, the easier it is to track missing items. 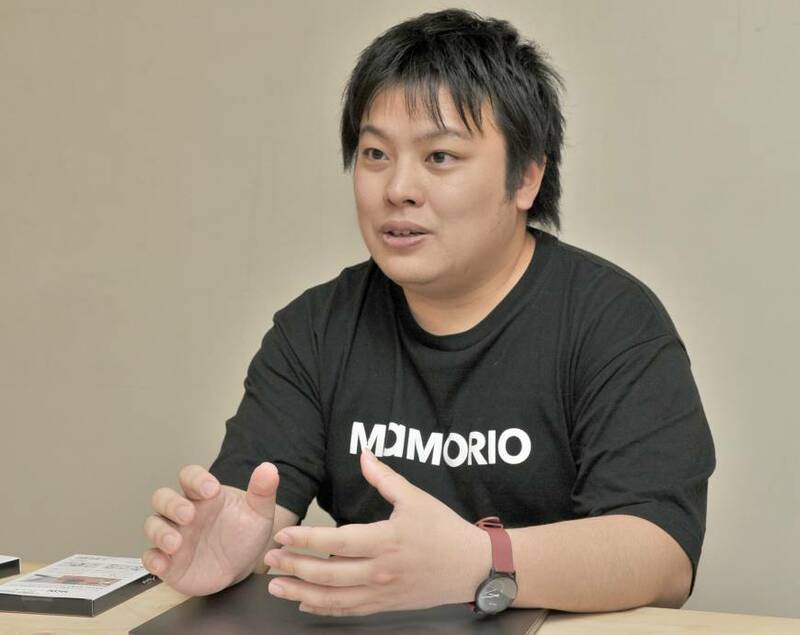 Although Mamorio did not disclose the exact number of electronic tags it has sold, CEO Daiki Masuki says sales figure are between “90,000 and 100,000,” which is more than the team initially estimated. The venture aims to increase the number of its users to 200,000 by the end of next year, and 1.2 million by 2020 when Tokyo hosts the Olympics. To improve usability, the startup has also installed antennas to receive signals from electronic tags at a number of railway stations and stores, including rail operator Tokyu Corp.’s lost and found center at Tokyo’s Shibuya Station and Takashimaya department store in Yokohama. It is in talks with other major rail operators to install the antennas at major stations across Japan, Masuki says. After Mamorio released its first batch of electronic tags in November 2015, other startups released similar location devices, including Qrio Inc.’s so-called smart tag and French-made Wistiki, which was launched in February in Japan. Although the volume of lost property in Japan rises each year, few services have been developed to help people find missing items, Masuki says. Mamorio has recently begun offering insurance products for lost items, and is also developing a service together with pharmaceutical maker Eisai Co. to help locate dementia patients using the electronic tag.